Obviously homeowners tend to want the answer to be “we can repair your roof”, as that tends to be a much cheaper option in the short term. However, simply repairing a roofing problem isn’t always the best long term solution. Yes there are times when roof repair is a legitimate option, but you have to consider every situation on a case by case basis. Roof repair may seem like the cheap route, but it could end up costing you more in the long run. If you decide to simply have your roof repaired the problem you are trying to fix may resurface and lead to a more expenses job in the near future. How do you decide when to repair instead of replace? 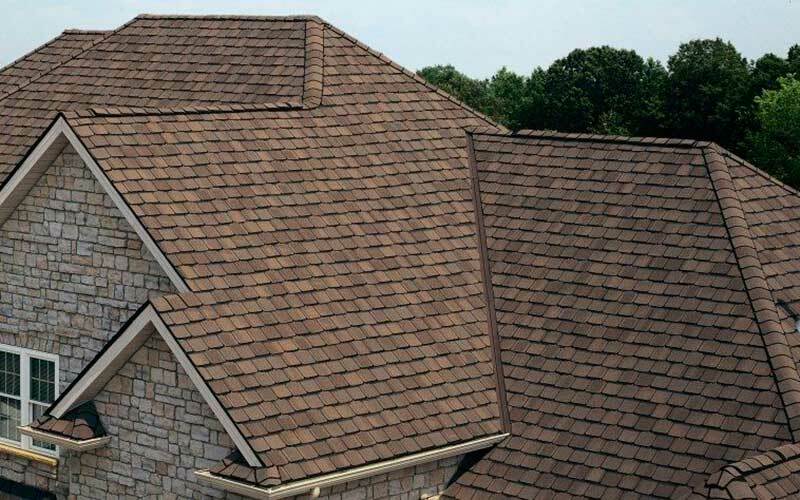 Most roofing material, even the lower quality options are guaranteed for 20 years. However, with shingle roofs especially they can become brittle due to changes in the atmosphere which results in a shorter lifespan. This degradation leads to less efficiency and the roofs ability to protect your home from the elements can be greatly reduced. This can lead to unexpected water damage and can have a negative effect on the structural integrity of your roof and other areas in your home. If the problem is something as simple as a few damaged shingles then they can easily be repaired without having to replace your entire roofing system. As long as the issue is discovered quickly a couple bad shingles are relatively simple to deal with. Minor roof leaks tend to be caused issues with the flashing between different components, such as the transition between roof and wall or roof and chimney. These leaks can also be repaired without a complete roof replacement being required. When a roof suffers major damage, or has been worn down by the elements a roof can be exposed to water. Once water is able to consistently penetrate your roofing system it is time to consider replacement. Water damage is costly to replace, and a leaking roof can lead to damage in other areas of the home. The deciding factor with regards to roof replacement may be the age of the roof. If it is a newer roofing system you may be able to do a spot repair. However, if your home’s roof is approaching the end of its lifespan a replacement is the best way to go. Do you have to replace the entire roof? When it comes to roof replacement you have a couple options. You can remove the old roof and install a new one, or you may opt to simply add a new layer to the old roof. Once again this decision will be based on a few factors. The main factor is how long you plan to remain in the house. If you choose to add a second layer you have to realize that this will not last as long, and if you are planning on selling your home in the near future it may negatively affect your home’s market value. If you are considering replacing the roof on your home in Maplewood or the surround area then give Hart & Sons a call at (973) 761-7676 for a free estimate.